Alto Adige, also know as Südtirol due to its deep-rooted bicultural heritage, is Italy’s northernmost wine region. Located at the foot of the Alps and the Dolomites, the region borders on Austria and Switzerland. The Alps protect it from inclement weather from the North and the Atlantic, while the Dolomites protect the vineyards from the cold, damaging winds from the east. Along with its proximity to the Mediterranean and Lake Garda, this makes it an excellent region to grow grapes. The vineyards range from 600 to 3,300 feet and the soil is mainly porphyry, limestone and slate rock with glacial deposits of gravel, sand and clay. It is interesting to note that in the summer, the temperature in Bolzano is higher than in Palermo in Sicily. The people that live here call their region the Sud Tyrol and themselves Tyroleans. The food is decidedly Austrian with only a hint of Italy. Ham is called speck and they have a cheese called Weinkase Lagrein and bread called Schuttelbrot. 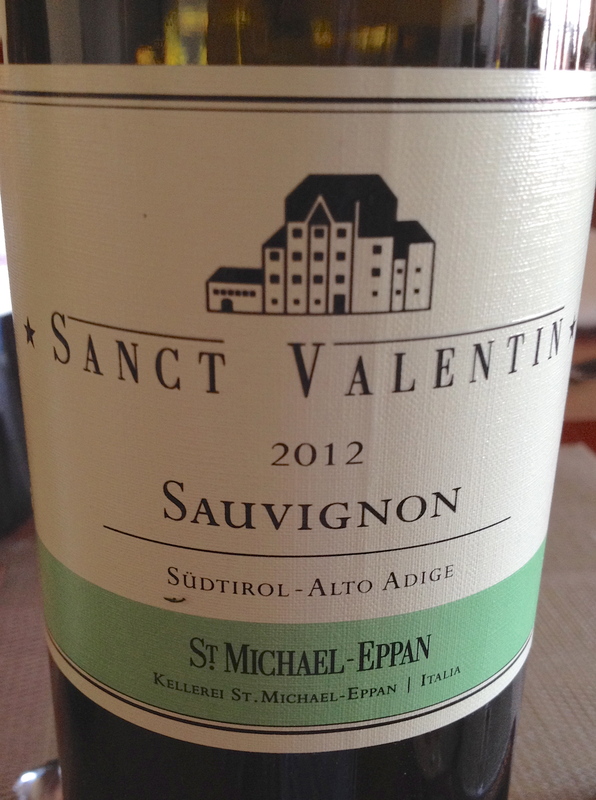 Lahn Sauvignon 2016 Alto Adige 2015 St. Michael Eppan, The 340 winemaking families that form the backbone of the winery joined forces in 1907 to create the St. Michael-Eppan Winery. 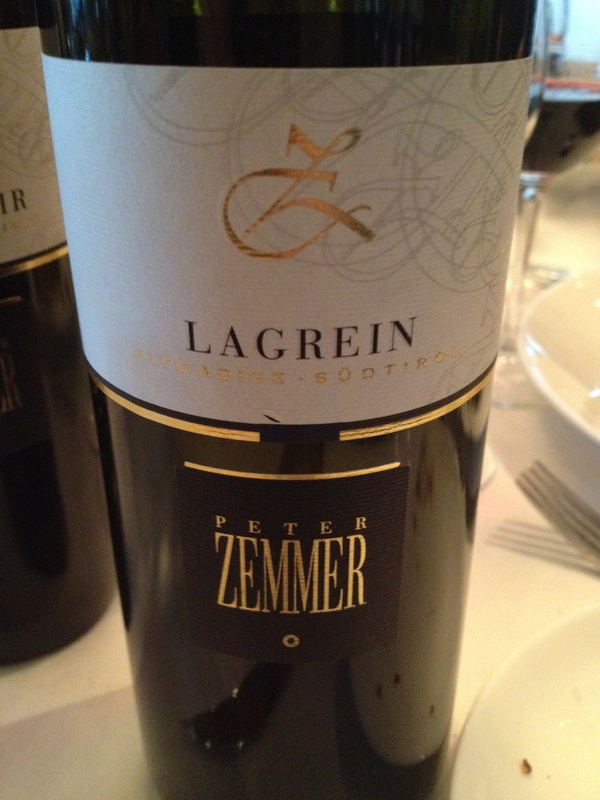 Made from 100% Sauvignon from vines 10 to 25 years old in Eppan/Berg at 480 to 550 meters. The exposure is southeast , the soil is limestone gravel and the training system is guyot. Harvest at the end of September to early October by hand with a selection of grapes. Missianer Vernatsch (Schiava) 2016 Sudtirol Alto Adige DOC St. Paul. The St. Paul’s Cooperative Winery was founded in 1907 by 36 wine growers from St. Paul, Missian, Berg and Unterrrain. Today there are over 141 members. Many years ago I owned a wine store in Brooklyn. One of the wine salesmen who came in regularly introduced me to the wines of Elena Walch in the Alto Adige and I really liked them and ordered them for the store. That summer Michele and I were visiting Northern Italy and decided to stop at the Elena Walch Winery. 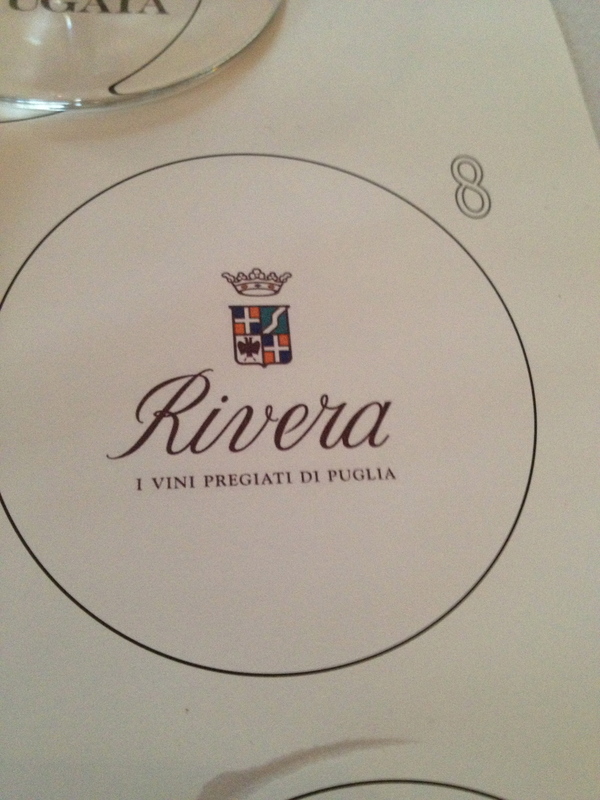 We had a memorable visit and tasted a number of wines along with the local food. The Alto Adige (Südtirol) Region, which borders on Austria and Switzerland, is at the foot of the Alps and the Dolomites. It is Italy’s northern-most wine region. The Alps protect it from inclement weather from the North and the Atlantic while the Dolomites protect the vineyards from the cold, damaging winds from the east. Along with its proximity to the Mediterranean and Lake Garda, this makes it an excellent region to grow grapes. The people that live here call their region the Sud Tirol and themselves Tyroleans. The food is decidedly Austrian with only a hint of Italy. This is a family owned and operated winery, led by Elena Walch and her two daughters, Julia and Karolina. There are 136 acres and there are two excellent single vineyards on the estate: Castel Ringberg in Kaltern which is 49 acres and the largest single vineyard in the Alto Adige, and Kastelaz in Tramin which is 15 acres. The philosophy of the estate is that the wines must be the individual expression of the soil, climate and cultivation in the vineyard. A few years ago Michele and I were in Italy and drove north from Lake Garda to the Alto Adige. As we left the city of Trentino and headed toward Bolzano (Bolzen), the countryside started to look more German than Italian. Even the road signs changed: they were written in both German and Italian. This is a fascinating region with characteristics of two cultures. 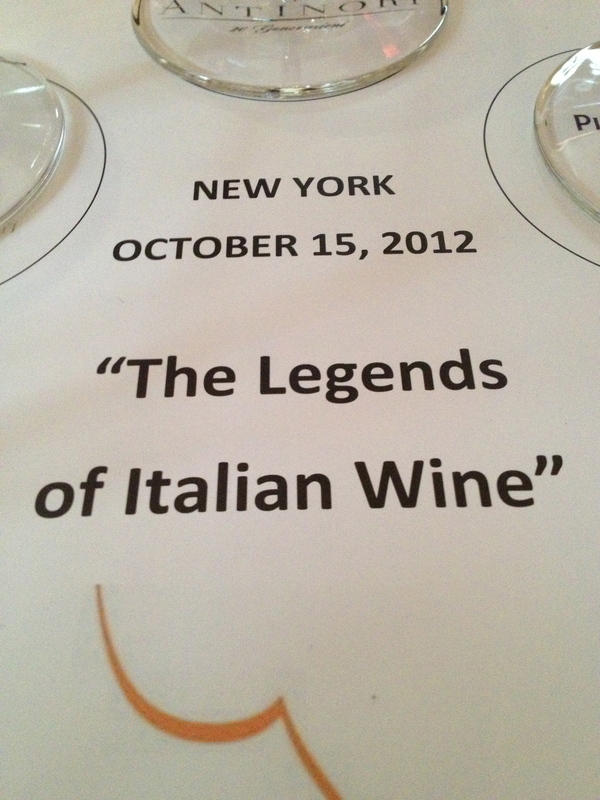 I accepted an invitation to a seminar and panel discussion of wines of the Alto Adige that can age. The moderator of the panel was Tim Gaiser, MS. Tobias Zingerle of Kaltern Caldaro, Martin Foradori Hofstâtter of Tenuta J. Hofstâtter, and Ines Giovanett of Castelfeder made up the panel. Alto Adige, also know as Südtirol due to its deep-rooted bicultural heritage, is Italy’s northernmost wine region. Located at the foot of the Alps and the Dolomites, the region borders on Austria and Switzerland. The Alps protect it from inclement weather from the North and the Atlantic, while the Dolomites protect the vineyards from the cold, damaging winds from the east. Along with its proximity to the Mediterranean and Lake Garda, this makes it an excellent region to grow grapes. The vineyards range from 600 to 3,300 feet and the soil is mainly porphyry, limestone and slate rock with glacial deposits of gravel, sand and clay. It is interesting to note that in the summer, the temperature in Bolzano is higher than in Palermo in Sicily. The people that live here call their region the Sud Tyrol and themselves Tyroleans. 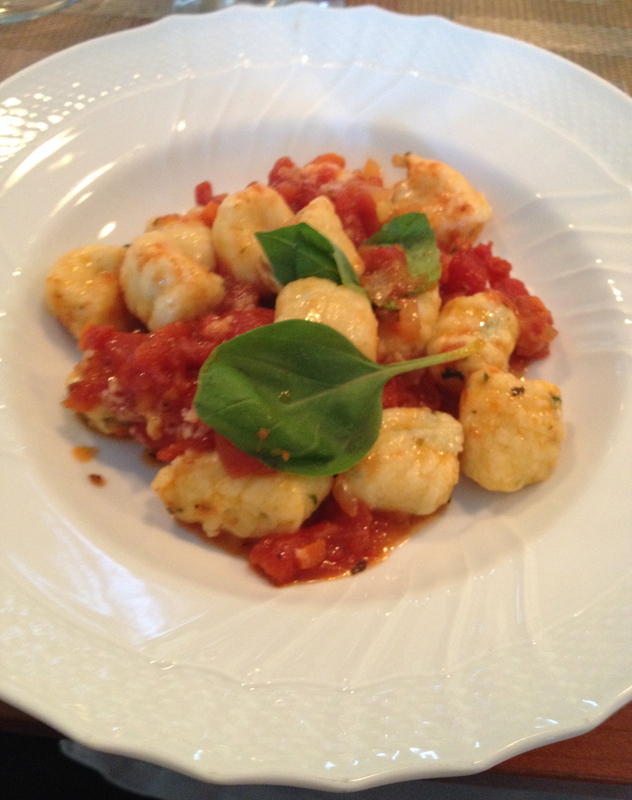 The food is decidedly Austrian with only a hint of Italy. 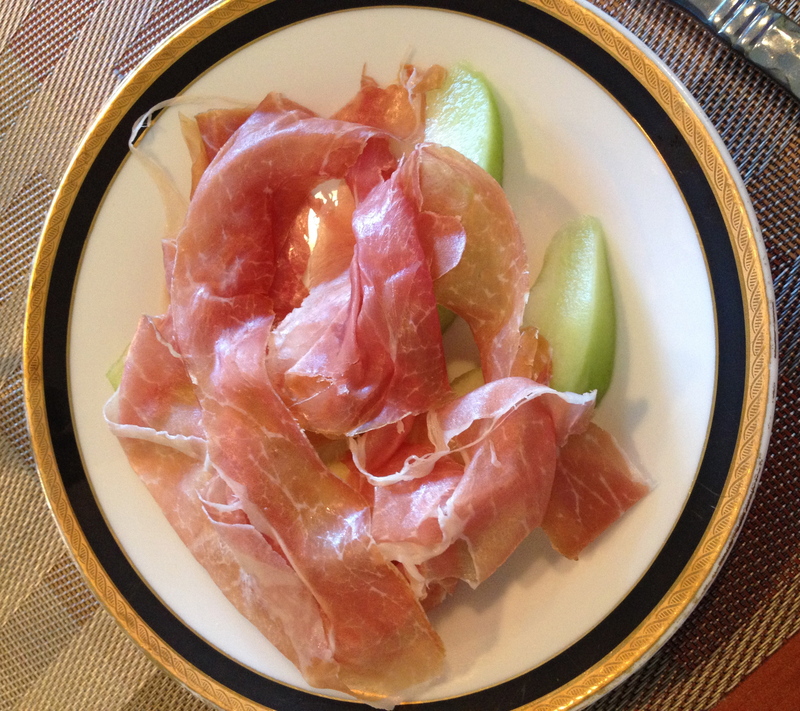 Ham is called Speck and they have a cheese called Weinkase Lagrein and bread called Schuttelbrot. Mr.Gaiser said that in the Alto Adige 70% of the production is from 13 cooperatives, 25% from 40 larger wine estates and 5% from over 100 private producing winegrowers. 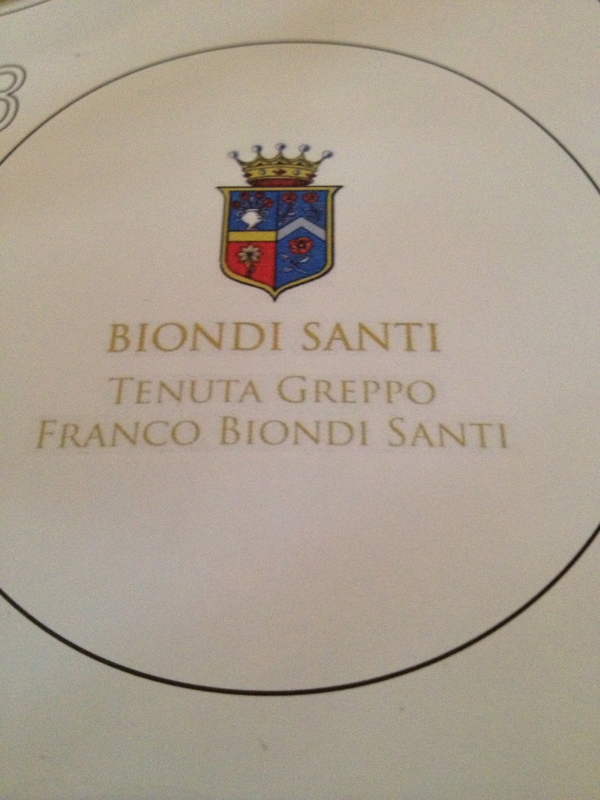 The first two wines are made from the Pinot Bianco grape. This is a grape variety that I feel is not appreciated and under valued. 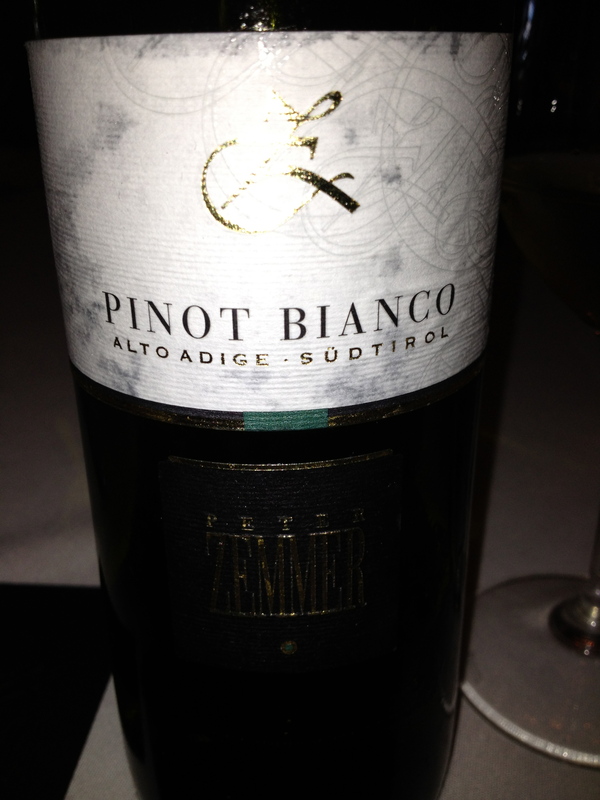 I have had wines made from the Pinot Bianco grape from the Alto Adige that have been 20 years old and have stood the test of time. Therefore I was not surprised to see the older examples showing so well. 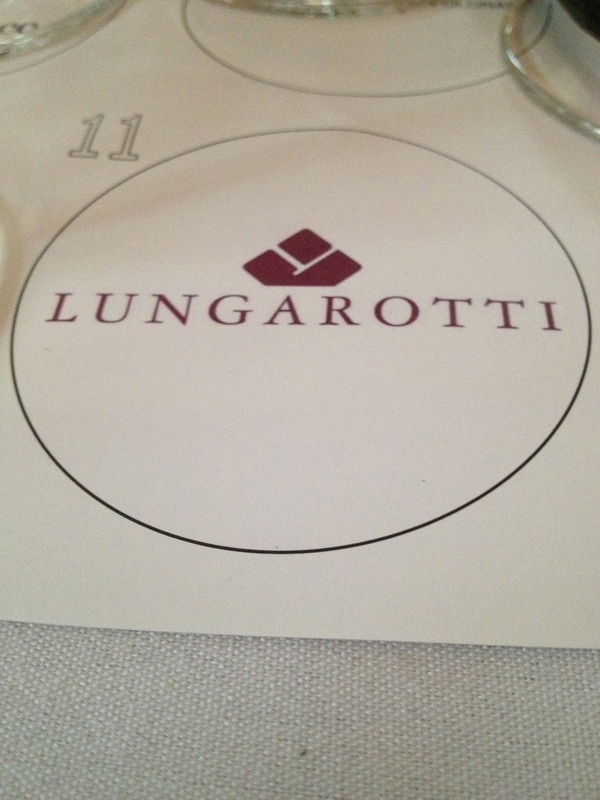 Mr. Zingerle said the Pinot Bianco was the local wine of the area, the everyday wine. He said that the training system was pergola and guyot trellises and hand harvesting was the rule. 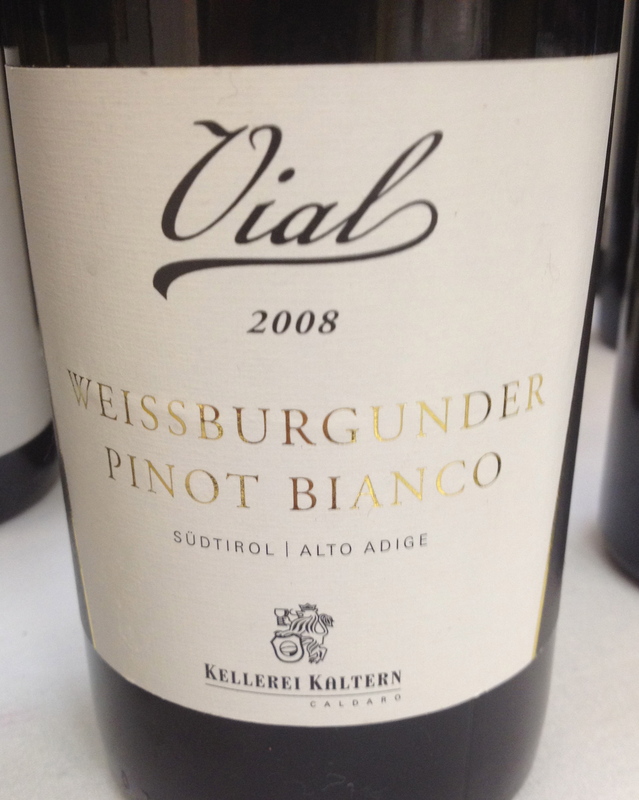 Kaltern Caldaro Pinot Bianco Vial 2014 & 2008 DOC 100% Pinot Bianco. Kaltern Caldaro is a co-op with 440 members. The 300 hectares of vines are located around Lake Kaltern, the warmest lake in the Alps. The Vial vineyard is between 500 and 550 meters and is located at the foot of the Mendel Mountain range. Whole cluster pressing takes place, then a natural must clarification and slow fermentation at 16% of which 10% is in large casks. The wine remains on the lees for 5 months and is then filtered and bottled in March. The residual sugar is 3g/l for the 2014 and 3.5 for the 2008. It is a full bodied wine with hints of apple, pear and a touch of almonds. 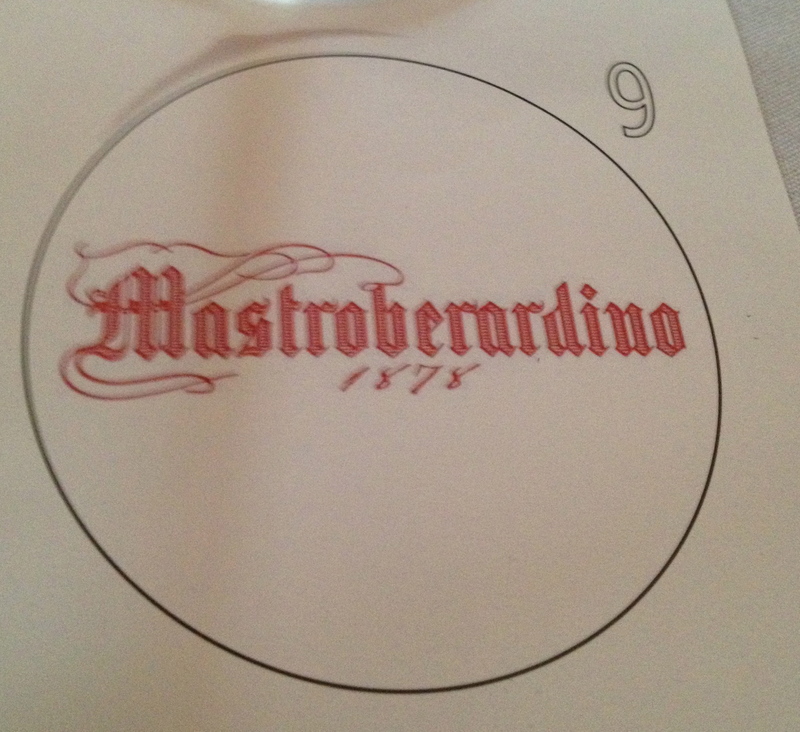 The 2008 was showing very well with pear flavor becoming more pronounced. Mr. Zingerle said that all the production must go to the cooperative. 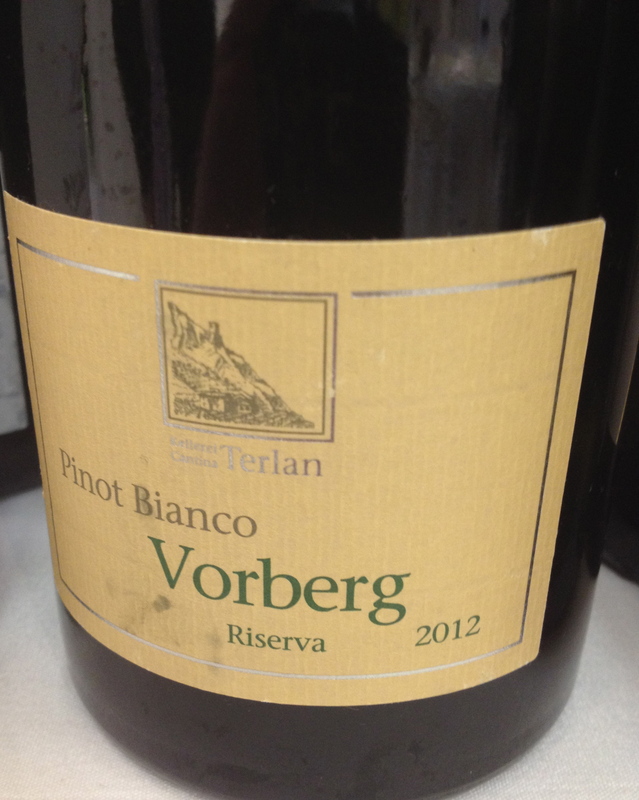 Cantina Terlano Pinot Bianco Riserva Vorberg 2012 & 1999 DOC 100% Pinot Bianco Cantina Terlano is a cooperative founded in 1893. Today there are 143 growers with 165 hectares of vines. The Vorberg vineyard is in the Southern Tyrol facing the slopes of the Monzoccolo in the Terlano DOC area. The vineyards are between 450 and 950 meters. Harvesting is manual, followed by a gentle pressing of whole grape clusters and clarification of the must by natural sedimentation. A slow fermentation takes place at a controlled temperature in 30HL barrels. 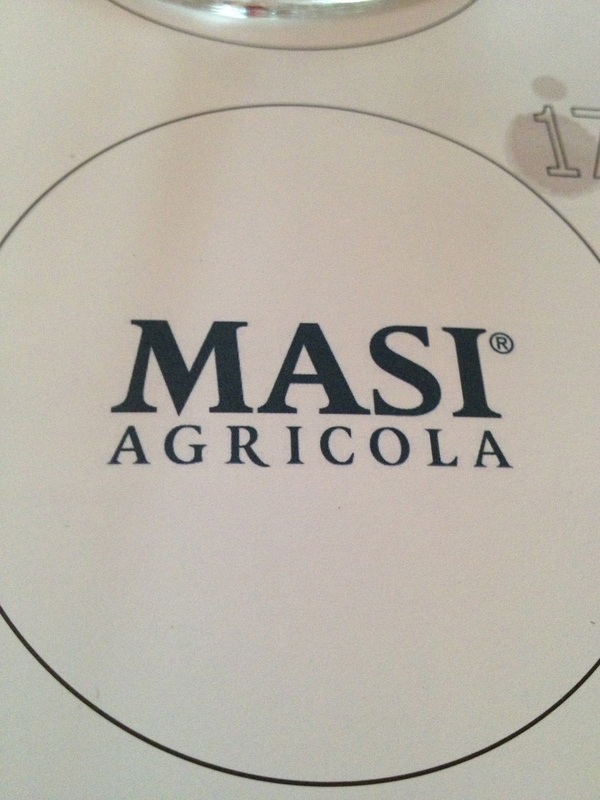 Malolactic fermentation and aging on the lees in traditional wooden barrels for 12 months. The residual sugar is 3.2 for the 2012 and 2.5 for the 1999. 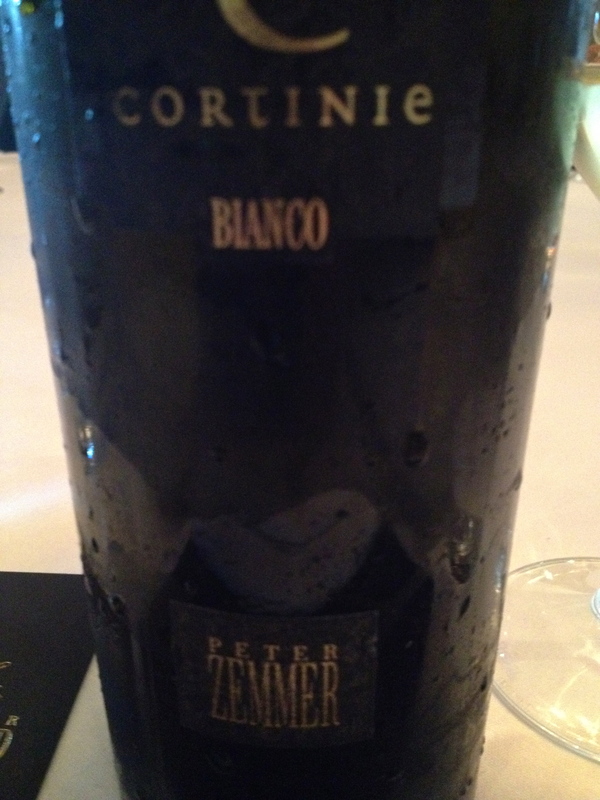 Mr. Zingerle said that the winery was known for making white wines that can age and after tasting the 1999 I have to agree with him. 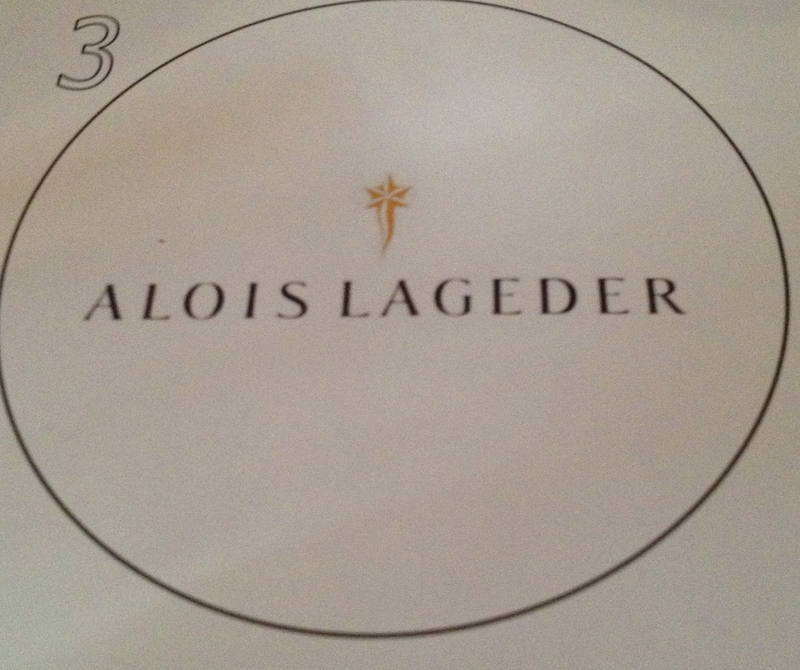 The 2012 had aromas and flavors of citrus fruit, with hints of apple and a touch of grass and herbs. The 1999 was more subtle with a creamy finish and aftertaste. 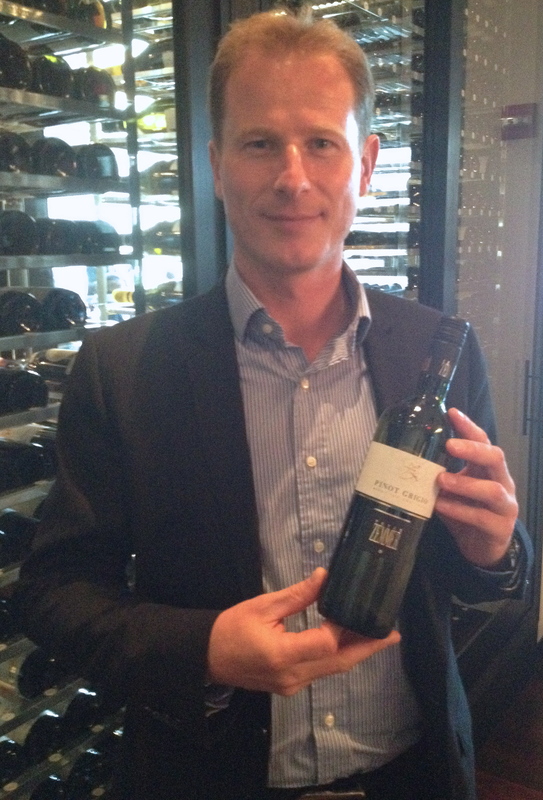 He added that 2012 and 1999 were very good vintages. 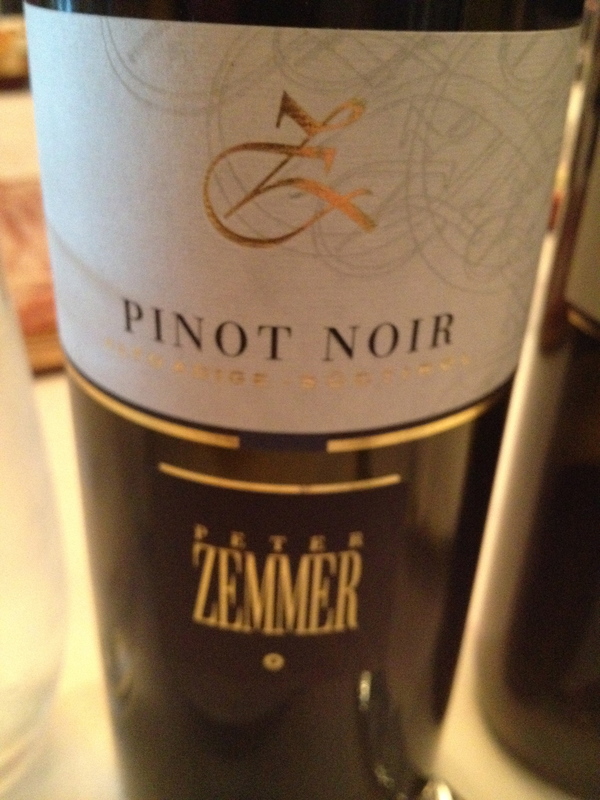 The panel members agreed that Gewürztraminer probably originated in Germany. Mr. Hofstâtter said that the grapes for Gewürztraminer are picked when they are over ripe and the harvest usually takes place at the end of September and the beginning of October. The training system is pergola and guyot. He also said that a touch of smoke is typical of the wine. He said that wines made from this grape are very aromatic with hints of lychees, mango, peach and apricot and they can age. 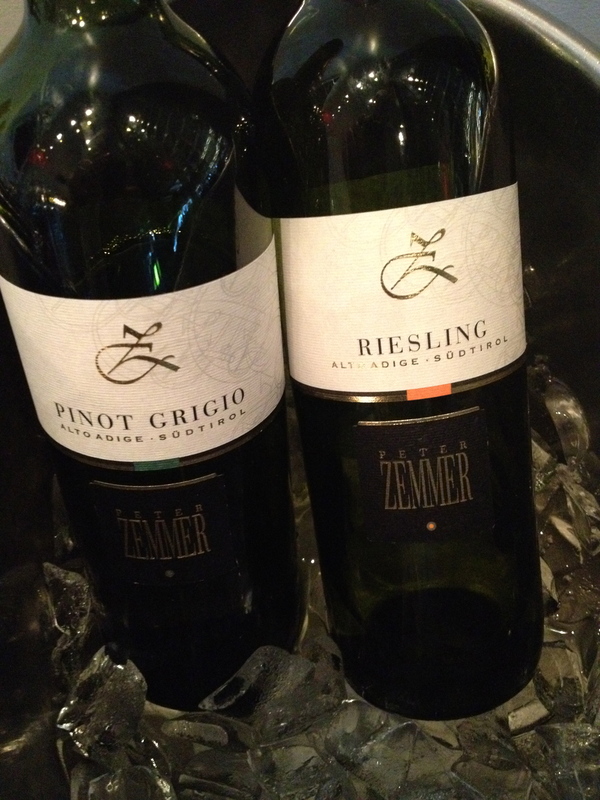 Tramin Gewürztraminer Nussbaumer 2013 & 2009 DOC 100% Gewürztraminer This cooperative was founded in 1889. 100% Gewürztraminer. The 14 hectares of vineyards are at 300 to 400 meters and the soil is calcareous and gravel in the area of Tramin and Montagna. There is a gentle pressing of the grapes immediately after harvest. Fermentation is in temperature controlled stainless steel tanks and malolactic fermentation does not take place. Residual sugar is 8g/l for the 2013 and 8.6 for the 2009. Tenuta J. Hofstâtter Gewürztraminer Vigna Kolbenof 2013 & 2006 DOC 100% Gewürztraminer. This is a family run winery. There are 50 hectares of vines between 250 and 750 meters on the slopes on both sides of the River Adige. 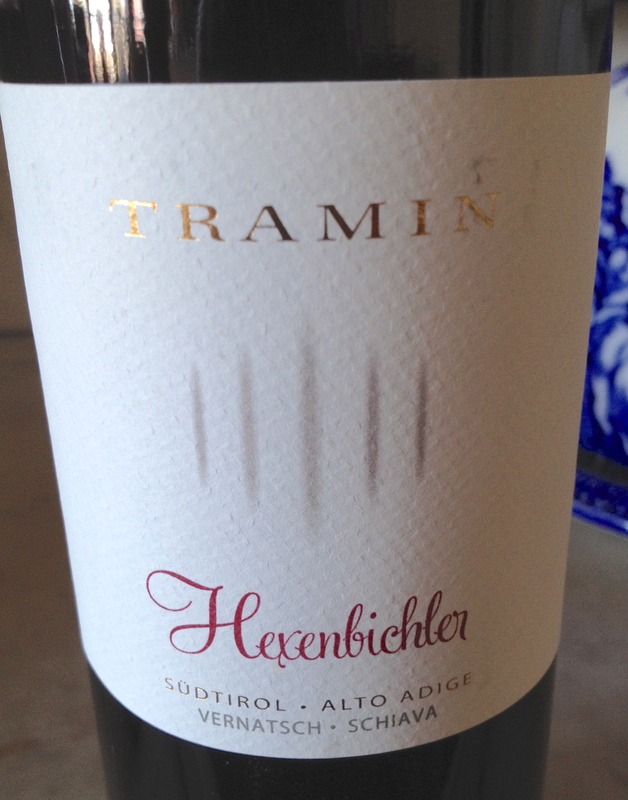 The grapes for this wine are grown in the hamlet of Söll overlooking Tramin. The grapes are lightly crushed and the juice is left in contact with the skin for a few hours. The juice is clarified using natural sediment and fermentation takes place in temperature controlled tanks. The wine is on the lees for eight months and the lees are stirred up once a week (battonage). It is a full bodied wine with hints of apricot, peach and passion fruit. The residual sugar is 8.4g/l for the 2013 and 8.2 for the 2006. 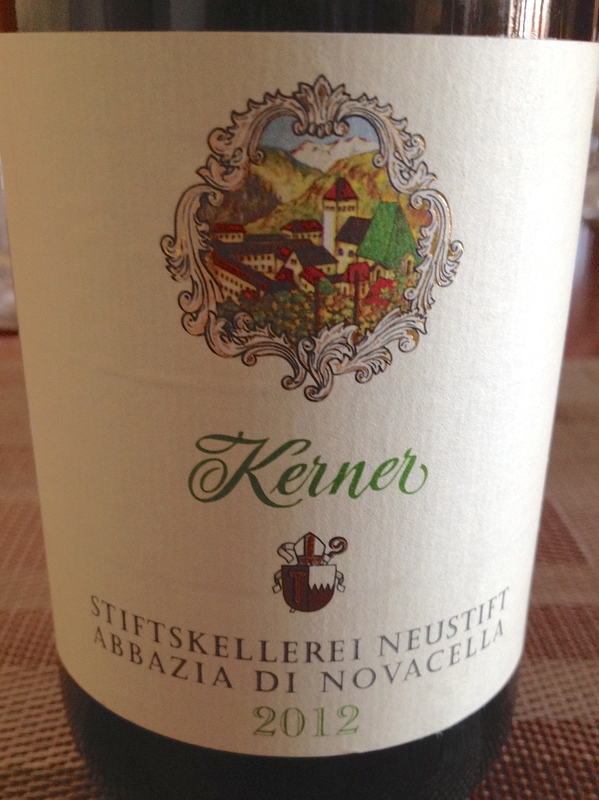 Only the Vigna on the label guarantees the origin of the single vineyard in the Alto-Adige.